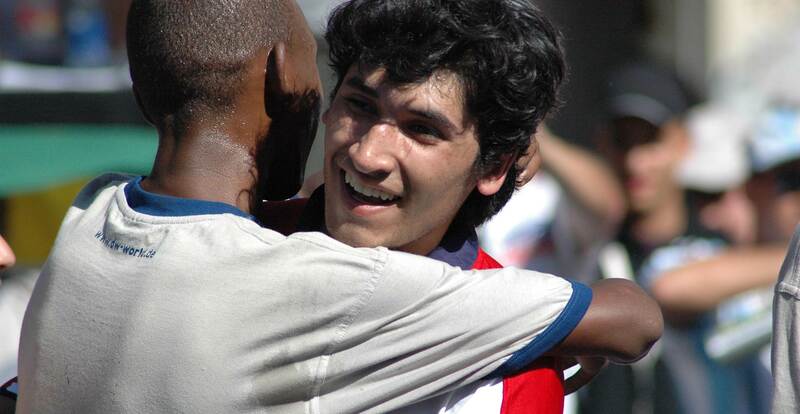 During the final week of the 2006 FIFA World Cup in Germany, streetfootballworld staged a landmark event in the history of Football for Change: Festival 06. Set in the multicultural community of Kreuzberg, Berlin, Festival 06 showcased the positive potential of football to a global audience for the first time. It brought together young people from all over the world and demonstrated the variety of ways in which football was being used to improve their lives and strengthen their communities. The focal point of the festival was a street football tournament played with unique rules designed to promote tolerance, fair play, conflict resolution and youth leadership. Media, celebrities and politicians joined thousands of fans to participate in the events organised by streetfootballworld. The festival ultimately helped raise the profile of football as a tool for good while providing the opportunity of a lifetime for young people from around the world.